Inauguration ceremony of our dream initiative Decent Job and Training Institute held today (22/04/2018) at Tongi. Among others honourable Senior Secretary for LGD Dr. Zafor Ahmed Khan, Additional Secretary of Finance Ministry Zalal Ahmed, Additional Secretary of Education Ministry M.D Mizanur Rahman, Chairman of BTEB M.D. Mostafizur Rahaman, CEO of Gazipur city corporation Md Rahatul Isalam ADC and Chief Eng of LGD Gazipur present as chief guest, special guest and invited guests. 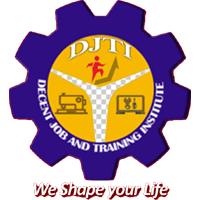 Greateful to the guest and DJTI team members for making successful the program.